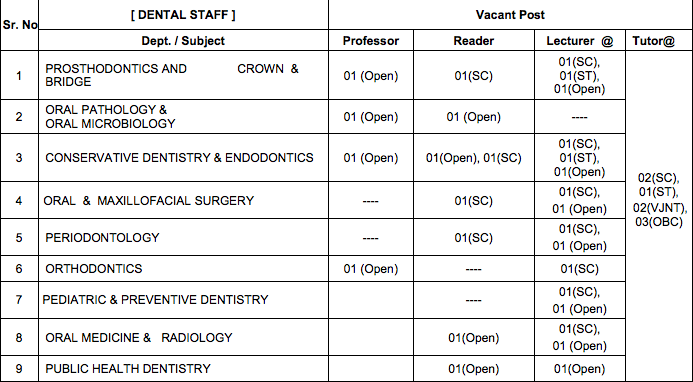 MAHARASHTRA UNIVERSITY OF HEALTH SCIENCES INVITES APPLICATION FOR FACULTY POSITIONS IN ITS 5 COLLEGES. Near Narangi River, Tal. Khed, Dist. Ratnagiri – 415 709. MAHARASHTRA UNIVERSITY OF HEALTH SCIENCES INVITES APPLICATION FOR FACULTY POSITIONS IN ITS 3 COLLEGES. 2. M.M.Patel Public Charitable Trust’s ASHWINI RURAL MEDICAL COLLEGE, HOSPITAL & RESEARCH CENTRE A/p. Kumbhari, Solapur - 413 006. 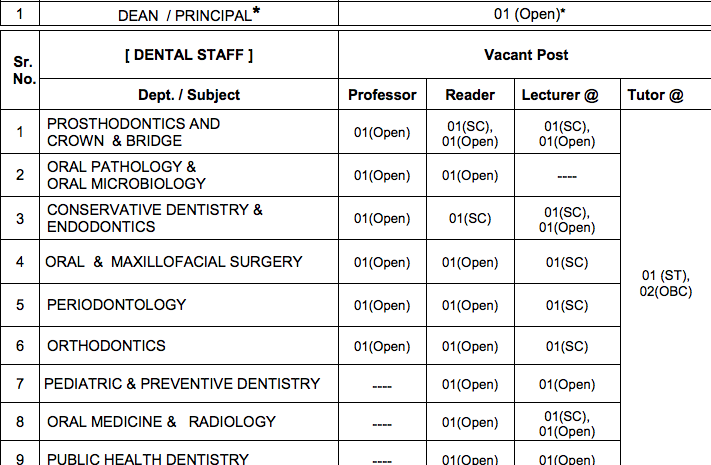 Qualification : BDS from recognized dental college/institution. Registration with Dental council of India or State Dental council. One year compulsory rotatory internship (Completed).